2016 Grammy nominee for Best Surround Sound Album! 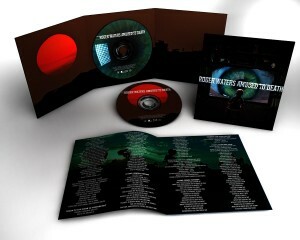 Originally issued more than 20 years ago as a very limited edition release, Roger Waters' final solo studio album to date is being made available once again on 200g 2LP and Hybrid SACD courtesy of Analogue Productions. Nothing is spared for this historic reissue, Pink Floyd producer/engineer James Guthrie is mastering his original stereo mix for SACD and he and Doug Sax are teaming up to master the vinyl version which will be pressed by Quality Record Pressings. So rare are original pressings of Amused To Death that copies today sell for more than $800 in like-new condition! For his third solo album, Amused To Death (1992), Roger Waters, former bassist/singer/songwriter and founding member of Pink Floyd, takes listeners on a journey through his mind as he examines how human society has been affected through mass media and particularly television. This complex concept album takes its title from a book by author Neil Postman that also explores and alerts us to the dangers of the ways the media shapes our lives. In the title track, aliens arrive on Earth after the extinction of humans - finding merely skeletons gathered around TV sets. The alien anthropologists run every imaginable test to try and determine the reason for this "sad demise." Their conclusion? "This species has amused itself to death." Visually, the concept is depicted by a cover shot of a gorilla watching television - "just flipping channels, looking for something that interests him," Waters says. Imagery that's as relevant as ever today. Q magazine once described Amused To Death as sounding "more like a Pink Floyd album than anything he has done alone before. It is the brother of The Wall, perhaps even the distant cousin of Dark Side Of The Moon, which should delight fans of those albums." 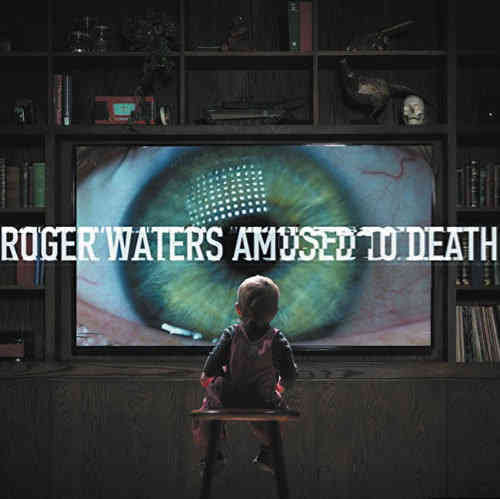 Amused To Death was originally mixed using QSound, a virtual surround sound, enhancing the spatial feel of the music along with the various sound effects sprinkled throughout the album. The Analogue Productions' reissue is beautifully recorded, lavish in depth and rich in sound. The 14 tracks flow into each other, meaning the album is best consumed whole. To shuffle tracks is to read random pages from a multi-page essay in no particular order. Waters tackles subjects as varied as capitalism, war, religion, American fast food, television, film director Stanley Kubrick and Broadway composer Andrew Lloyd Weber. Waters enlists some striking studio partnerships: Don Henley joins him on vocals for "Watching TV," the National Philharmonic Orchestra leaps in for "Too Much Rope," and Rita Coolidge pops up during the title track. Waters even recruited legendary guitarist Jeff Beck for musical support. The quality of production by Waters, Nick Griffiths and Patrick Leonard is simply superb!